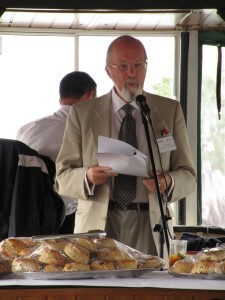 A number of members of the Society including the President attended the British Legal History Conference at Reading in July 2015. 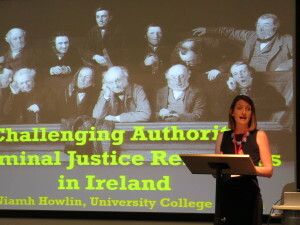 The theme of the conference was Law: Challenges to Authority and the Recognition of Rights. The Society provided some of the seed capital for the conference along with the Selde n Society and the Legal History Society of Wales. There were a significant number of delegates from the United States and Canada along with a group from Australia. 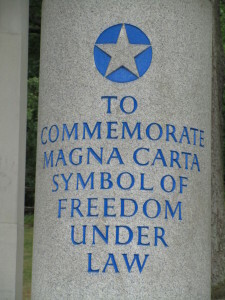 The conference included a visit to the site of the sealing of Magna Carta where the event is commemorated by an imposing memorial erected by the American Bar Association. 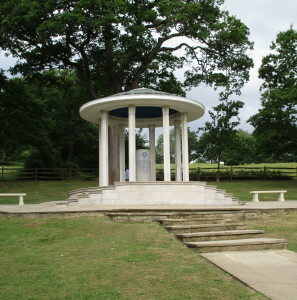 This was followed by a paper entitled Magna Carta- the beginning of the Myth delivered Sir John Baker QC, Downing Professor of Laws (Emeritus) at Cambridge, aboard the Queen of the Thames as it cruised the river by the meadow at Runnymede. Sir John is a gold medallist of the ILHS and has been a member of the Society since its inception. completed with an English cream tea. Over 70 papers were delivered in a series of sessions over the four days and great credit goes to Professor Catherine Macmillan and her team from the University of Reading for the flawless organisation of the four days. One feature of the conference was a session at which twelve Ph.D. candidates presented pap ers on Criminal Justice in Empire, Anglican Ecclesiastical law, Law Religion and Excluded Groups and Processes, Rights and Colonies. Professor Rebecca Probert of the School of Law at Warwick delivered a fascinating address to a plenary session entitled Victorian Bigamists – Challenging authority or claiming rights? The next conference will be held at University College London in July 2017. The exact date of that conference remains to be fixed and a call for papers will be made in due course.